The Unlikely Pilgrimage of Harold Fry by Rachel Joyce. This gem is centered on recently retired Harold Fry who is living a modest and (seemingly) loveless life with his wife Maureen. One day, out of the blue, he receives a letter from a woman he hasn't seen in 20 years. This woman is dying in hospice and had done him a favor 20 years ago. When he initially pens his response back to her, as he is walking to the mailbox, he decides that rather than mail her the letter he would deliver it by hand, even though that means walking 500 miles across England. As he walks, he remembers his past and slowly he is transformed: "Life was very different when you walked through it," realized Harold. His journey is nostalgic and sad, as Harold realizes he's never really accomplished much of anything. Thus the journey itself becomes a goal. His journey could be any of our own journeys, and I definitely found myself rooting for Harold. A parallel story (and similar transformation) takes place with his wife Maureen at home. 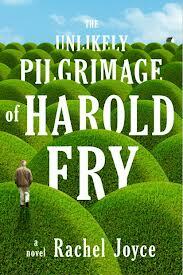 The Unlikely Pilgrimage of Harold Fry is a novel of quiet introspection; perfect for a mid-life read. 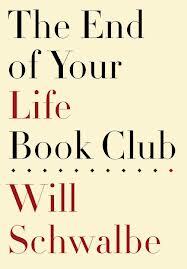 The End of Your Life Book Club by Will Schwalbe. This is a wonderful and loving tribute to author Will Schwalbe's amazing mother-Mary Anne Schwalbe. Diagnosed with Stage IV Pancreatic Cancer, she and Will continue on their tradition of sharing and talking about books while she undergoes treatment. Along the way, we learn what a remarkable life she led (she was one of the founders of the IRC-International Rescue Committee) and continues to lead despite the fatal prognosis hanging over her head. It's a book written with much love, and Will's grief of what is to come is fairly palpable throughout. But it also depicts a life well lived and you can't help but admire his mom. Along the way, we are introduced to the many books they shared. Some I had read, others I have jotted down in my "to read" list. 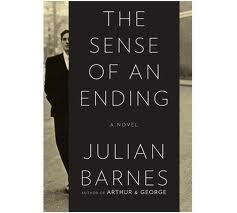 If you are a book lover, I think you will enjoy The End of Your Life Book Club. 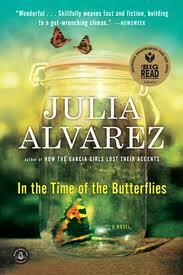 In the Time of Butterflies by Julia Alvarez. I'm not sure how I missed reading this when it was first published in 1994, but I am so glad to have finally discovered it. This novel is inspired by the true story of the Mirabel sisters during the time of the Trujillo dictatorship in the Dominican Republic. Alvarez does a masterful job blending history and fiction as each chapter is told in the voice of one of the four sisters. This is not a "quiet" novel, and it kept me on the edge of my seat. It's filled with courage and heroism and I came away from it better informed about a very sad chapter in Latin American history. We live in time-it holds us and moulds us-but I've never felt I understood it very well. And I'm not referring to theories about how it bends and doubles back, or may exist elsewhere in parallel versions. No, I mean ordinary, everyday time, which clocks and watches assure us passes regularly: tick-tock, click-clock. Is there anything more plausible than a second hand? And yet it takes only the smallest pleasure or pain to teach us time's malleability. Some emotions speed it up, others slow it down; occasionally, it seems to go missing-until the eventual point when it really does go missing never to return. 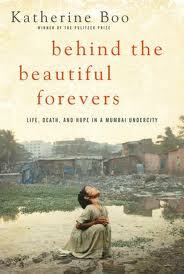 Finally, I'm in the middle of an amazing non-fiction book called Behind the Beautiful Forevers: Life, Death and Hope in a Mumbai Undercity by Katherine Boo. This is not an easy read by any means, but is an important one. It's the harsh story of the have-nots in Mumbai, who live in a slum in the shadow of a luxury hotel and busy international airport. I have to keep reminding myself this is real, this isn't just a story. Behind the Beautiful Forevers is an important book to read precisely because this is how so many of the poorest people in the world live. It's the kind of book that cracks you open and makes you look at the world through with softer eyes. I can imagine its impact will be felt long after I read the last page. So those are a few of the books that helped me close out 2012 and greet 2013. I love hearing people's recommendations, so please drop me a line if you have a book that particularly resonated with you. I'm always grateful for new recommendations. And, if you are buying a new book, please consider supporting your local independent bookstore! I tried to respond to your note to me, but the email address failed. So, I'm pasting my letter to you here, instead. Hope that's ok. I've just been reading your blog and recognize a kindred spirit indeed. I'm so glad you wrote to me, and I'm so sorry for your loss. I'm not sure why, but my path of late has been criss-crossed by mothers who have lost children. My own best friend lost her son just over ten years ago, two months before he was to graduate from college, so I've experienced this grief up close and over time, but of course, not having lived it myself I can only do my best to imagine what it is to walk forward in your shoes. Your courage and grace are palpable in your writing. And every book you recommend on your blog post is on my current must-read list. Seeing those titles made me feel deeply honored to know that my own book was your most recent read. I'm going to share your blog with another mom whose son was the same age, who also died two years ago -- we connected because her Andrew died on the same night and at the same time as my friend. There was some comfort, for both of us I think, in imagining them arriving in heaven together, a mother and a boy. Grief and gratitude -- what great spiritual work you are doing to make room for both in your heart and in your writing and in your life. Thank you so much for sharing a bit of your own journey with me.